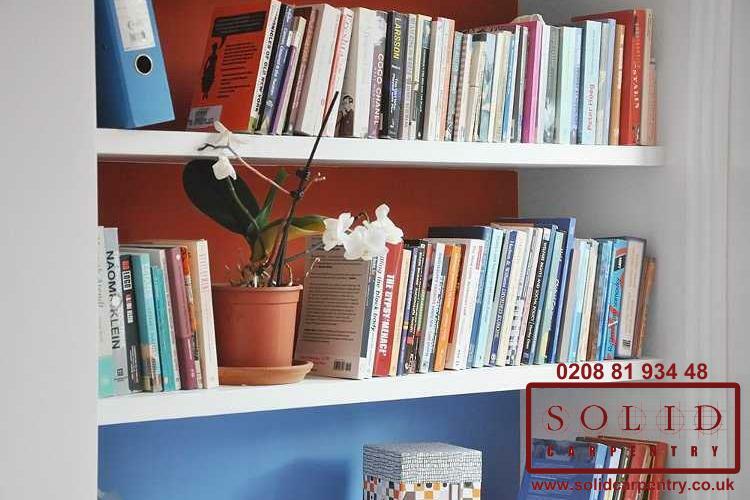 Do you have a book collection that you simply adore? 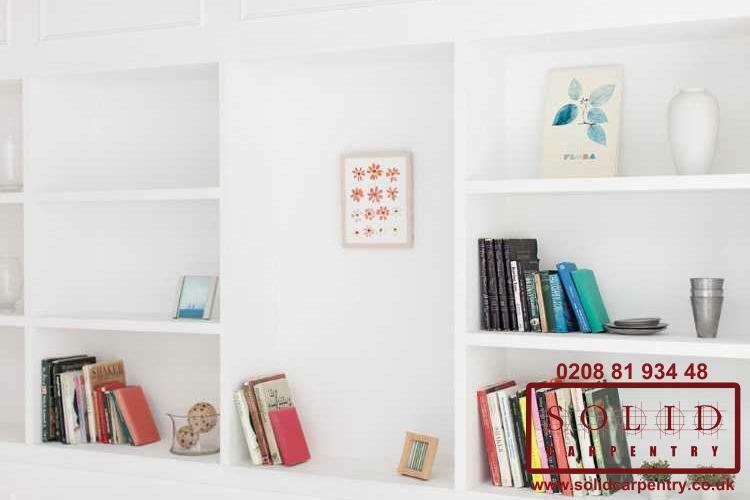 Do you seem to acquire a new book on a regular basis and find yourself with less and less space to store your new additions? 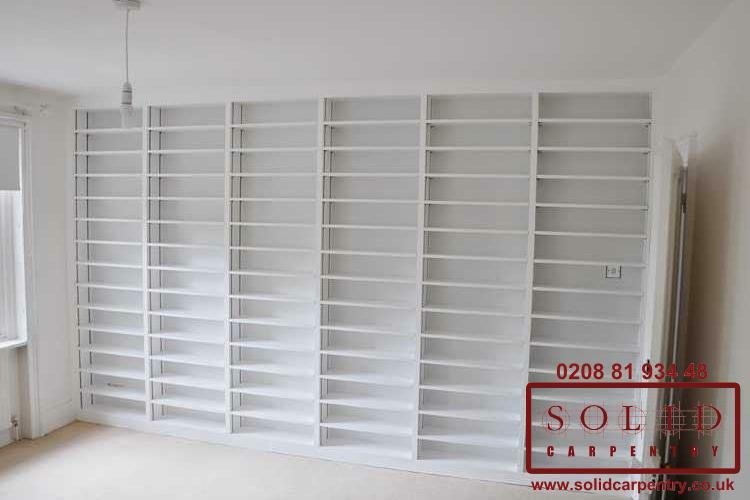 With bespoke home library furniture you can create the perfect space to store your treasured book collection and carve out a distinct area within your home to which you can escape to spend time with your favourite paperback. 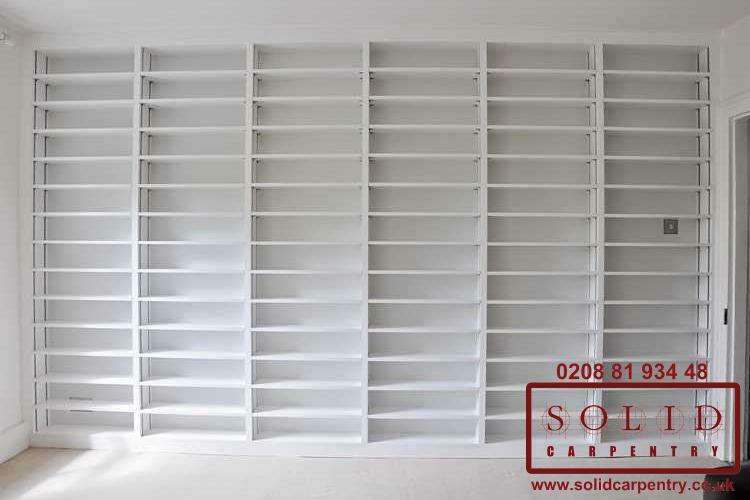 Choosing a custom-built bookshelves or bookcases for home library means taking advantage of the available space in your room, even if it has the most awkward of layouts. 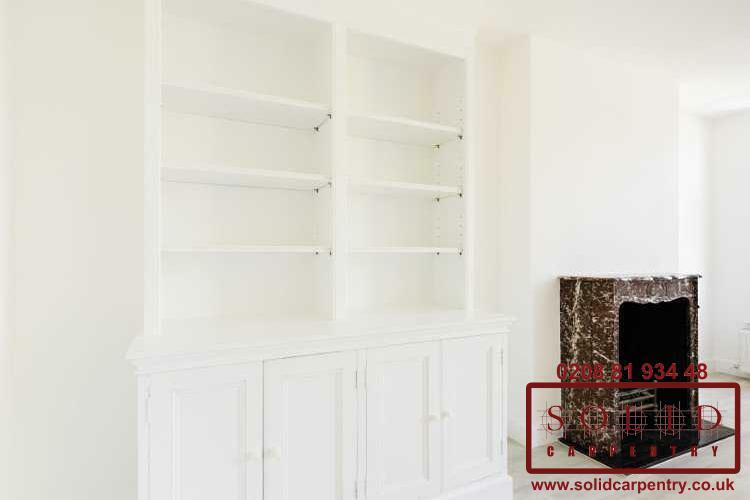 Unlike pre-made bookcases and shelving units, made to measure home library furniture allows you to design a shelving system to your unique style and to complement the existing décor of the room. 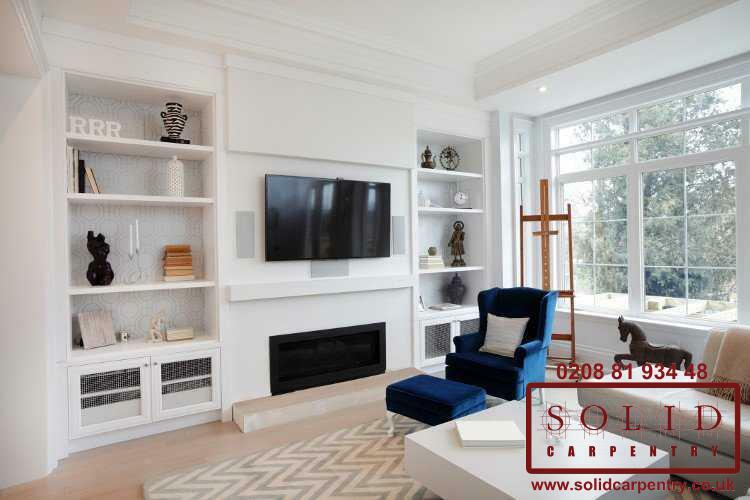 Whether you prefer a classic or contemporary look, we will work closely with you to design a solution that works for you. 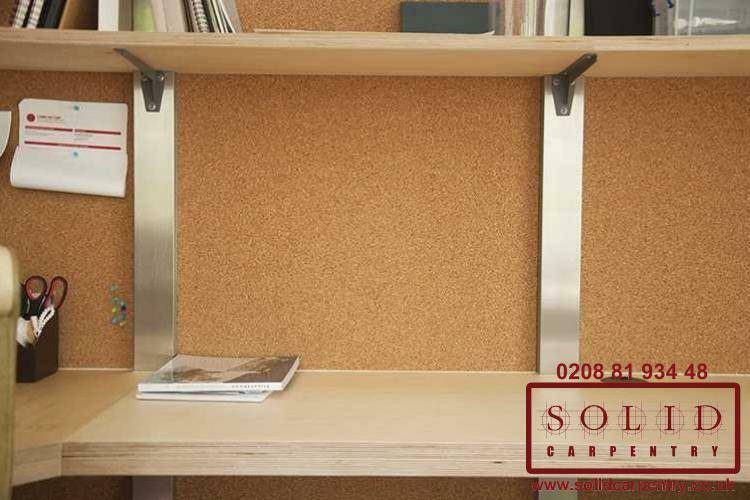 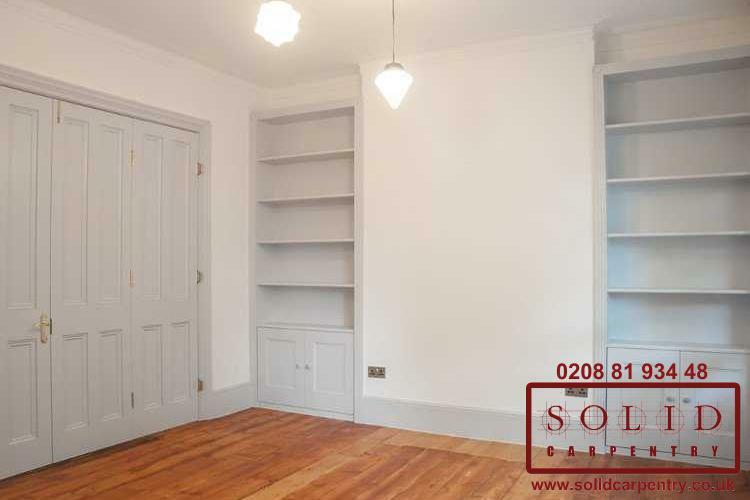 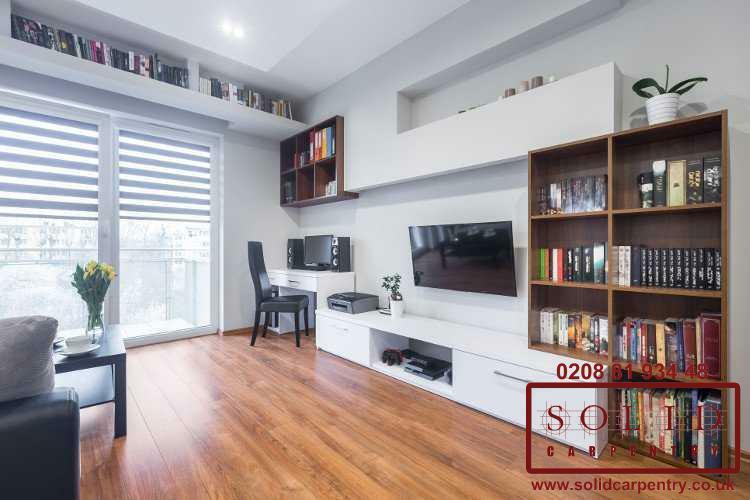 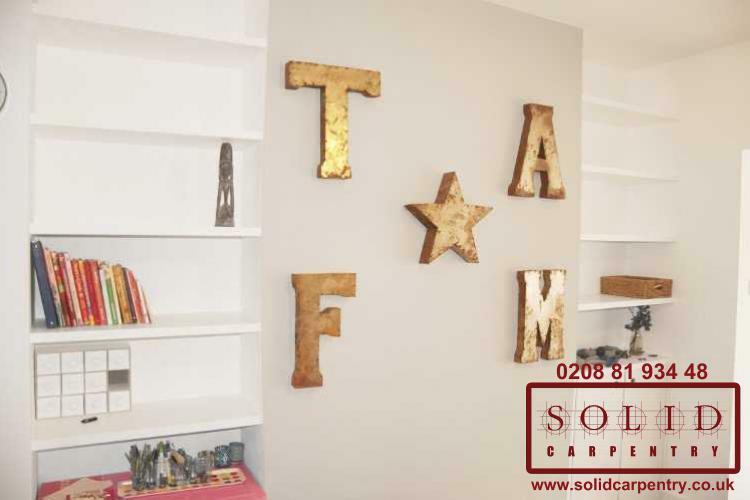 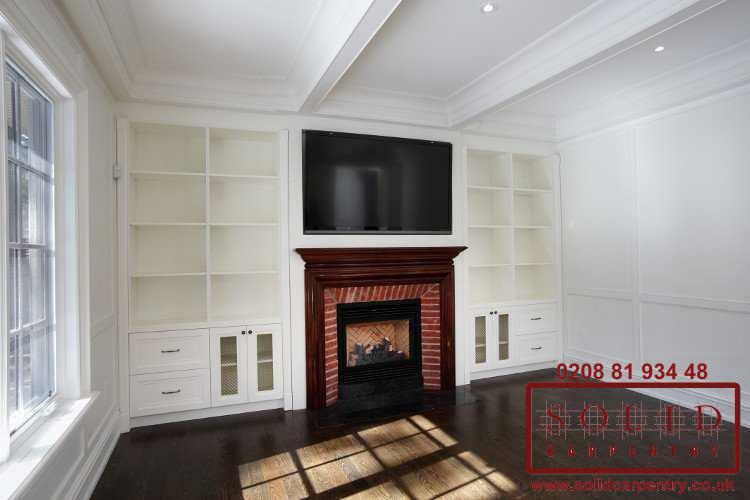 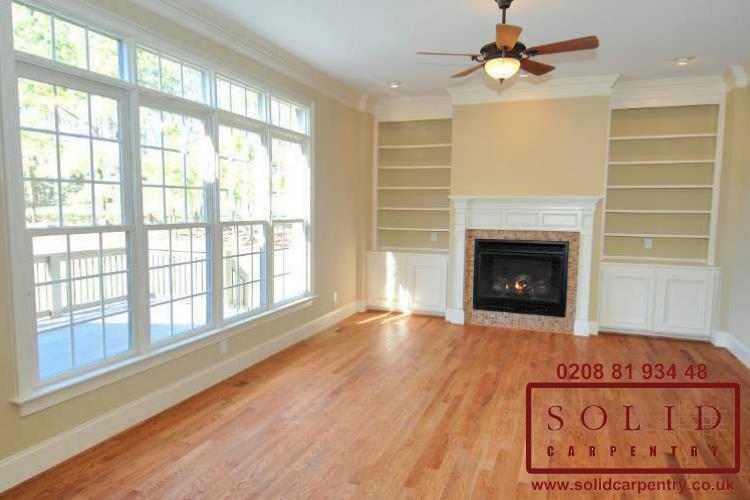 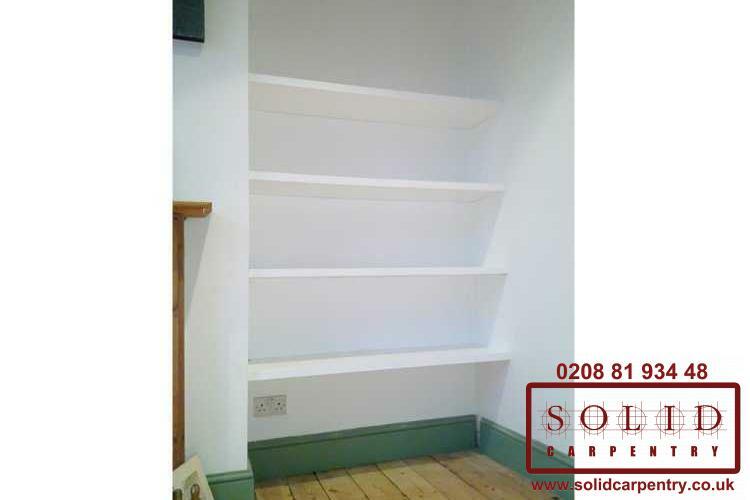 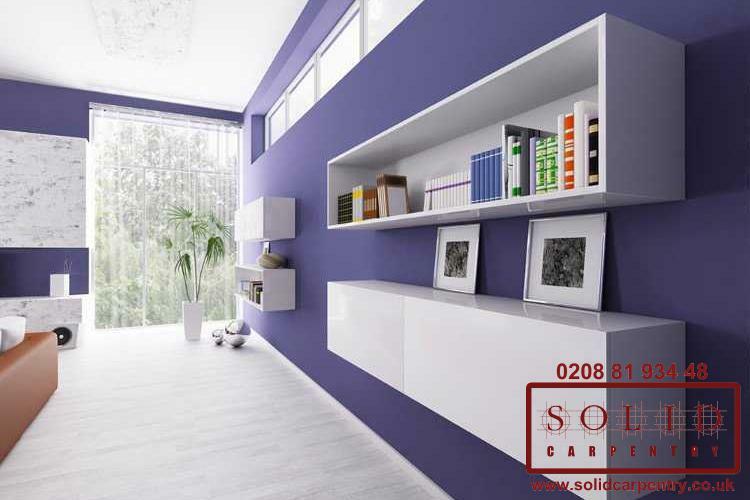 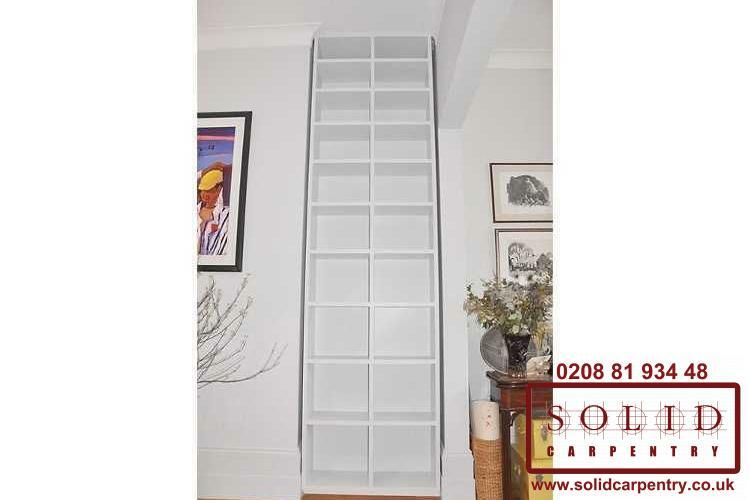 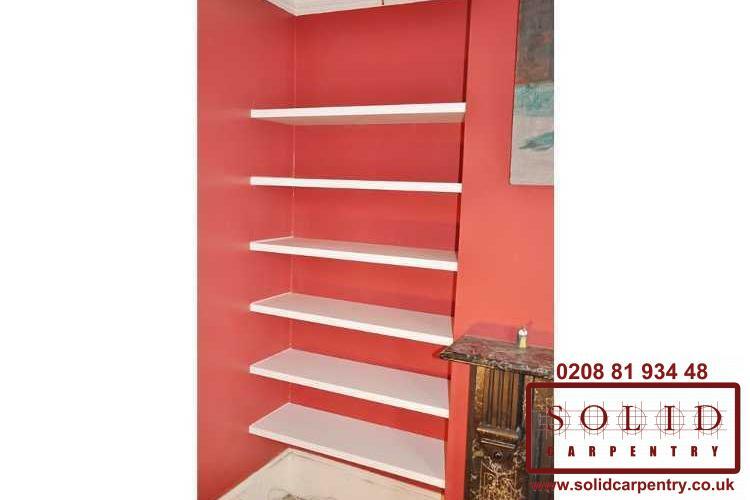 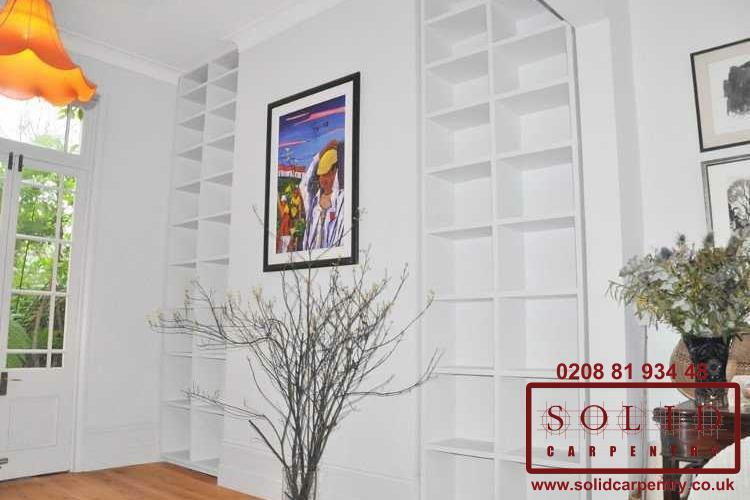 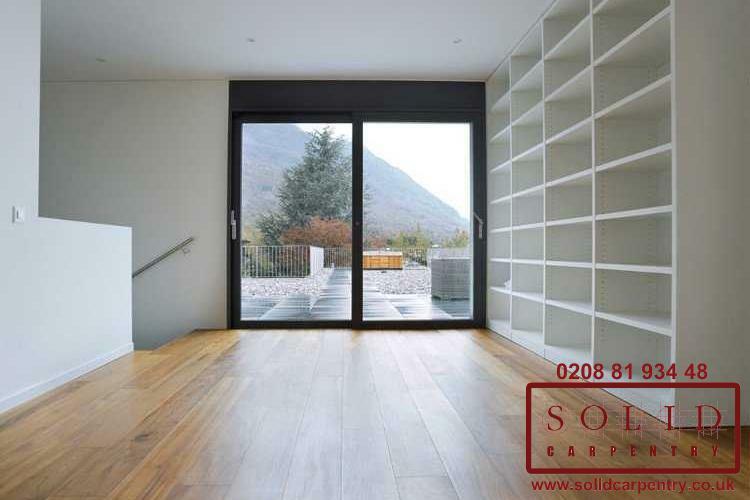 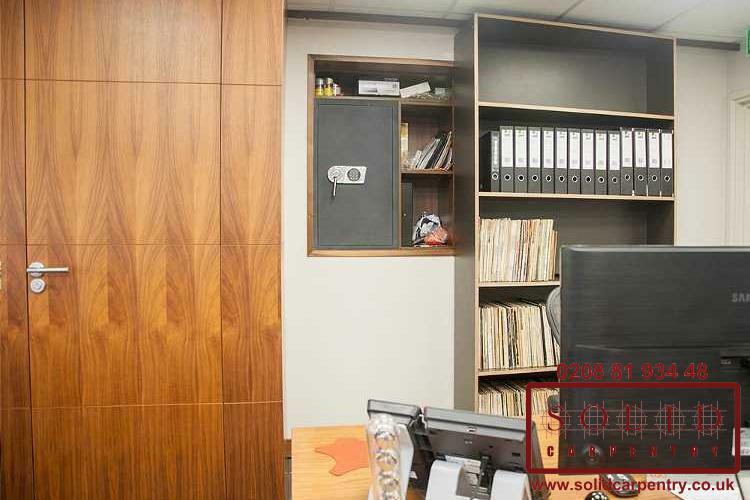 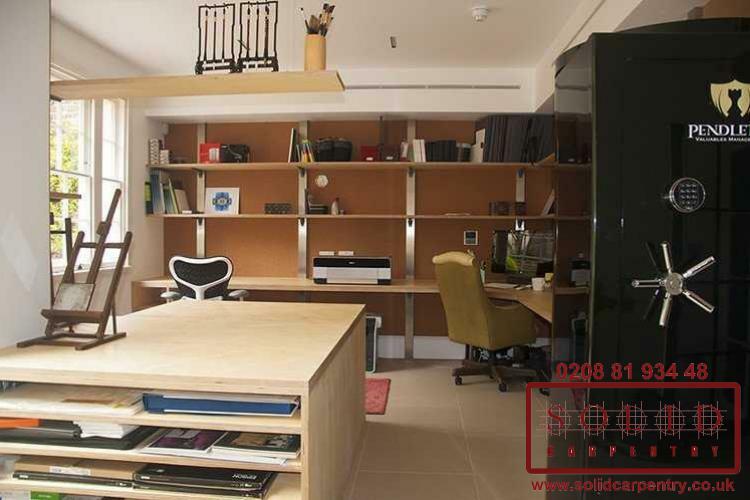 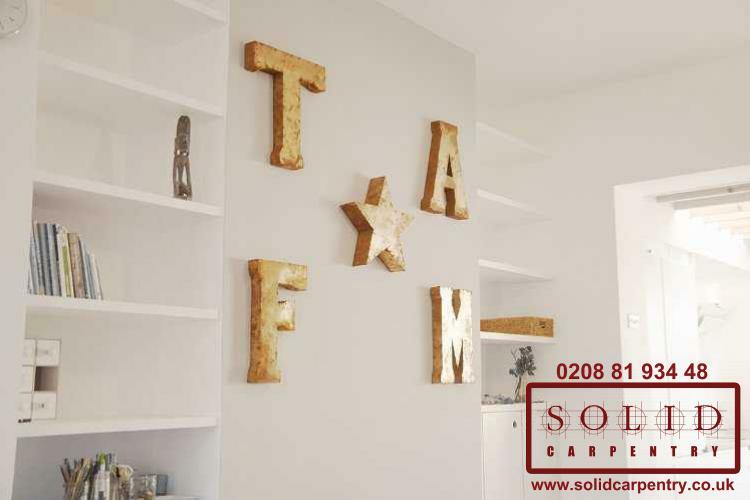 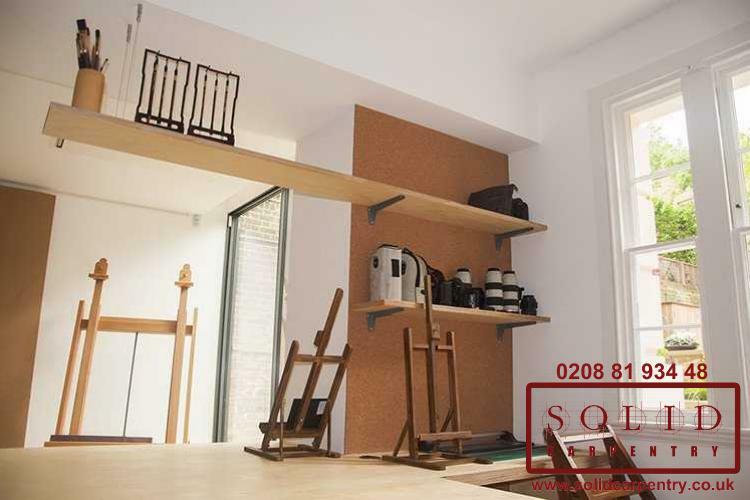 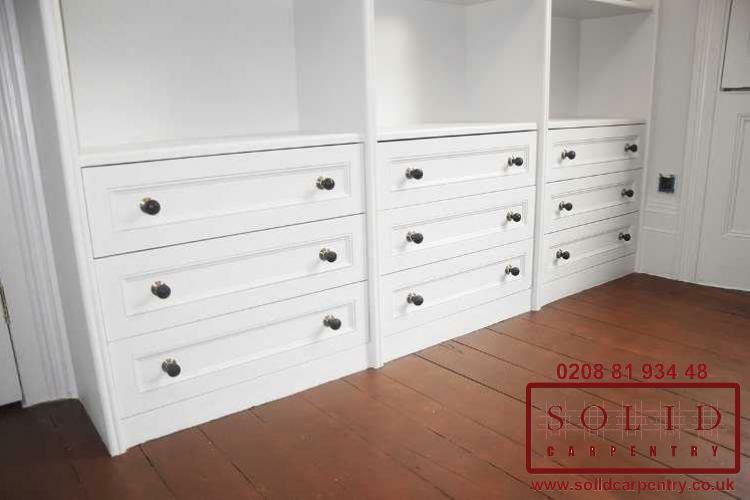 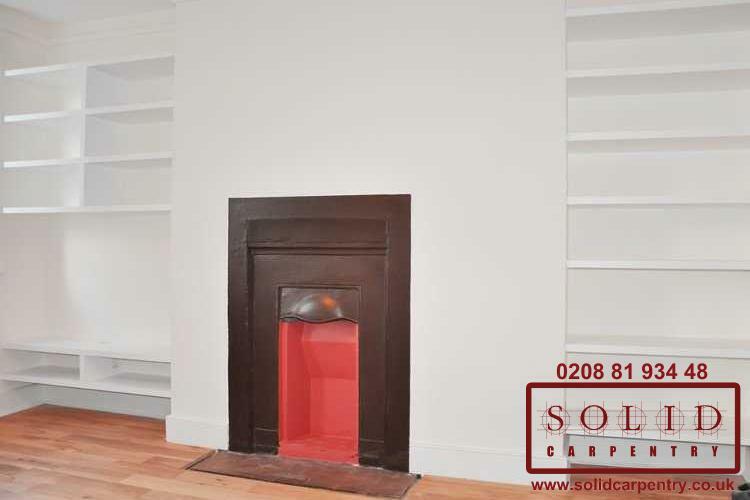 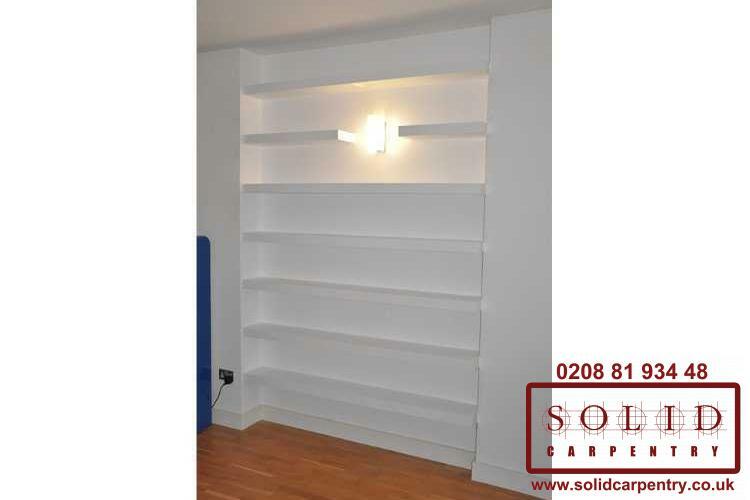 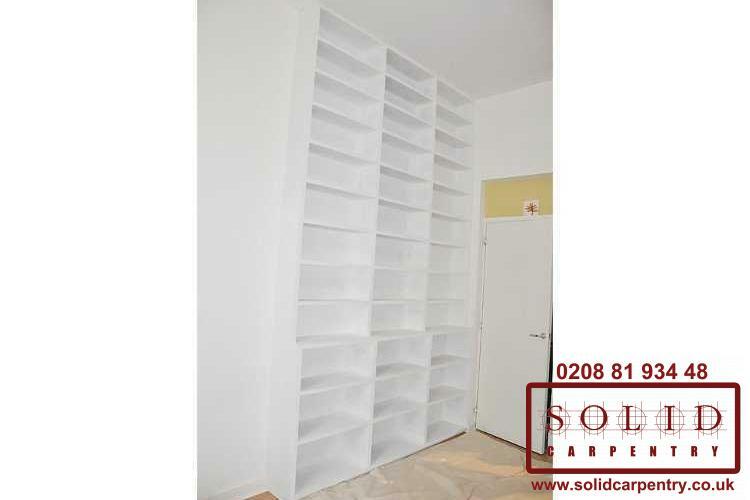 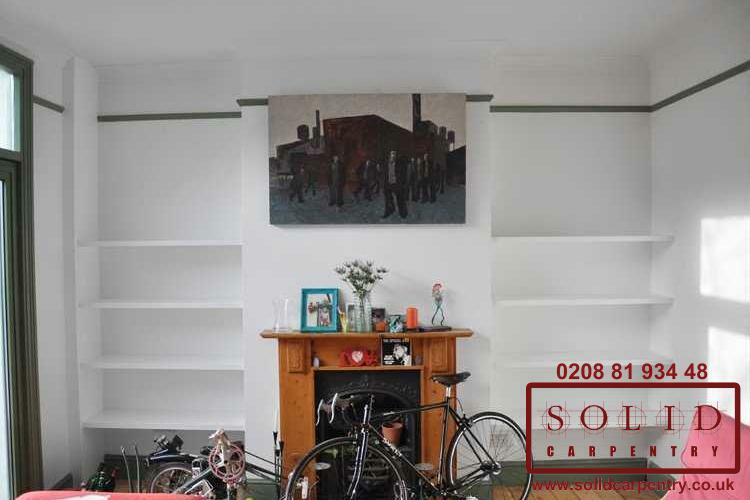 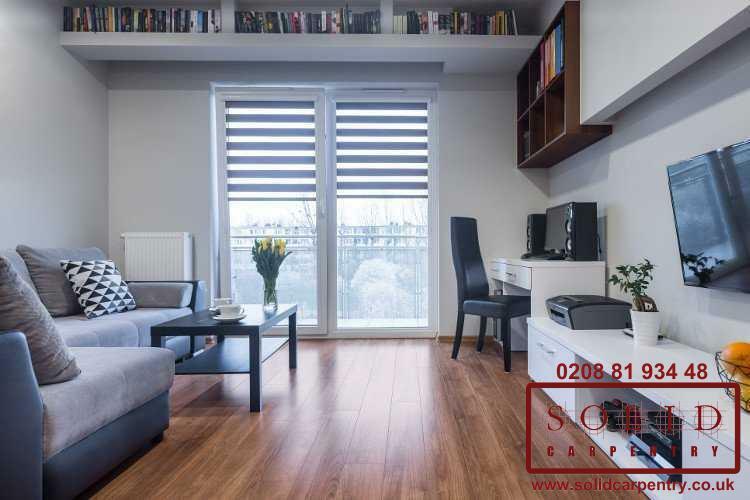 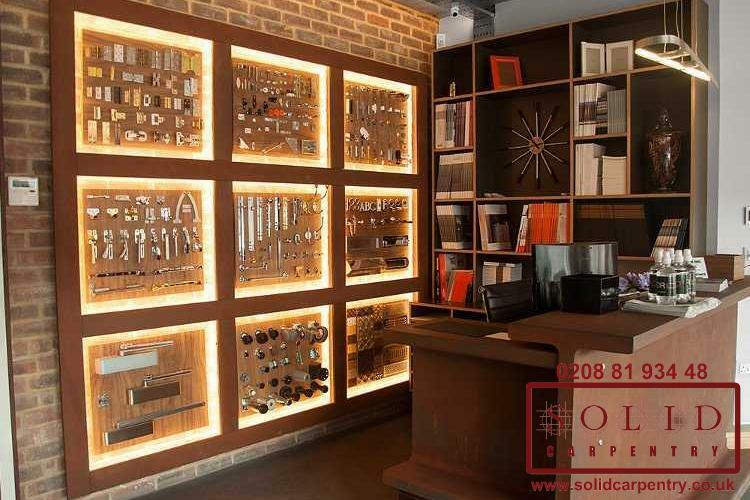 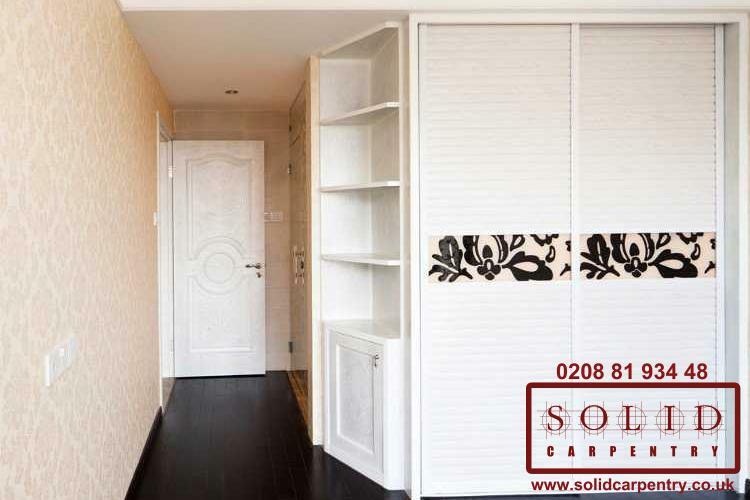 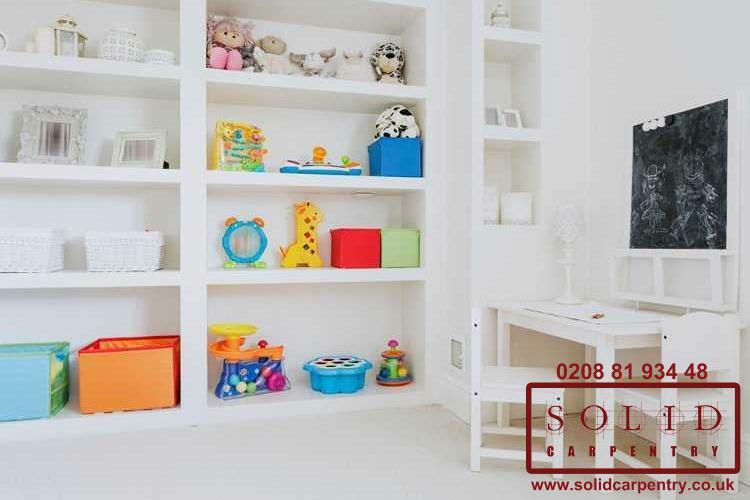 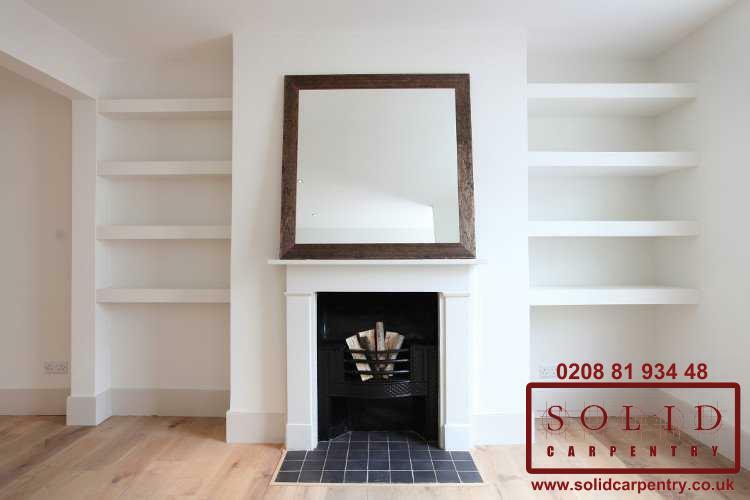 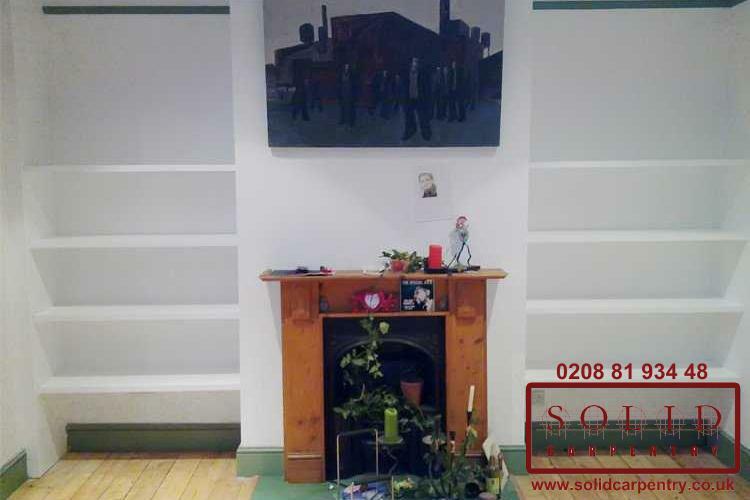 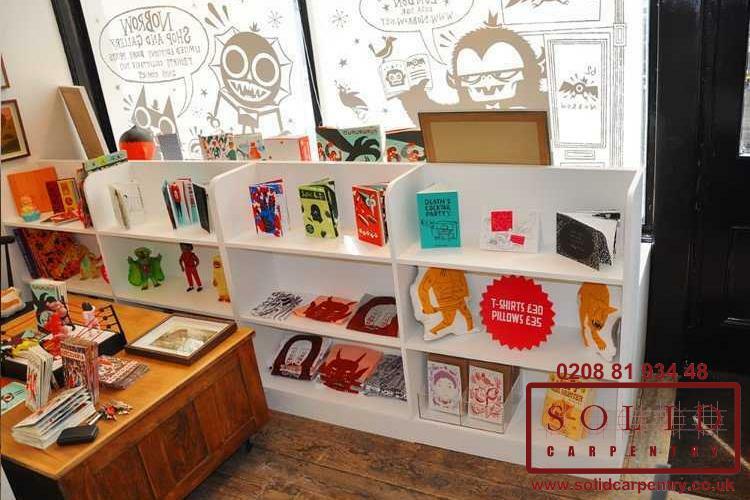 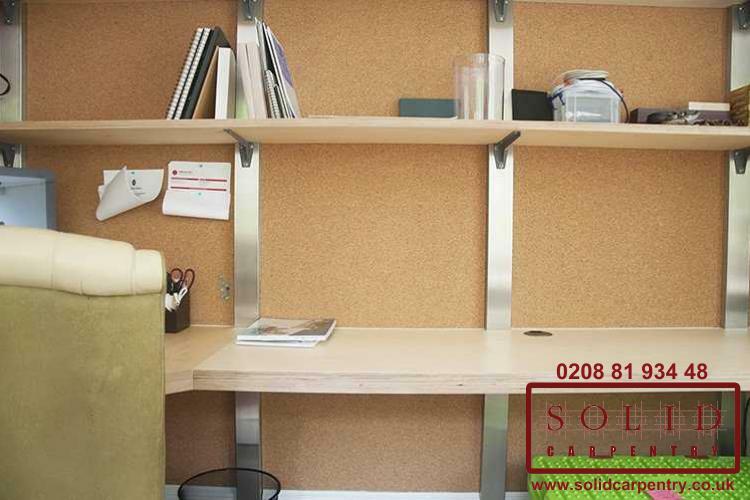 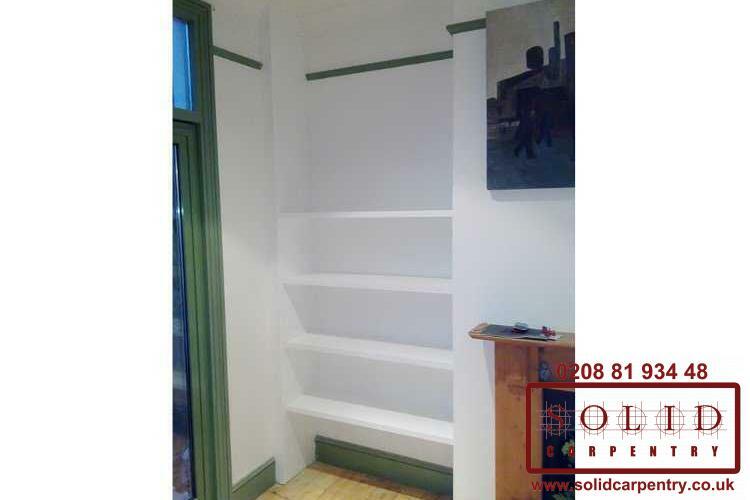 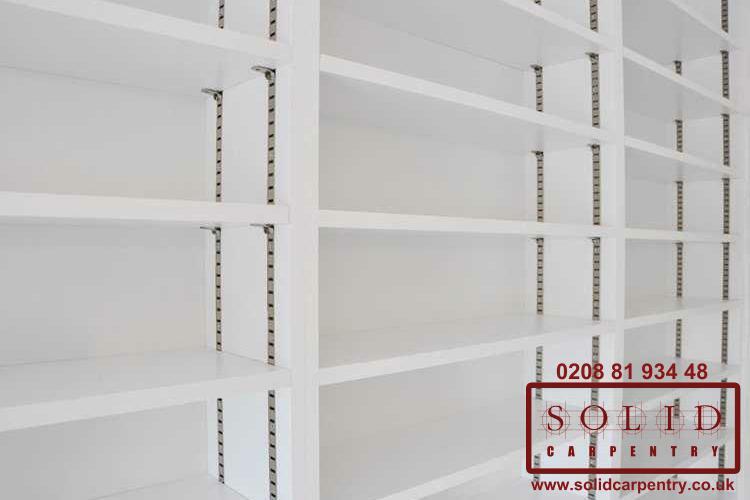 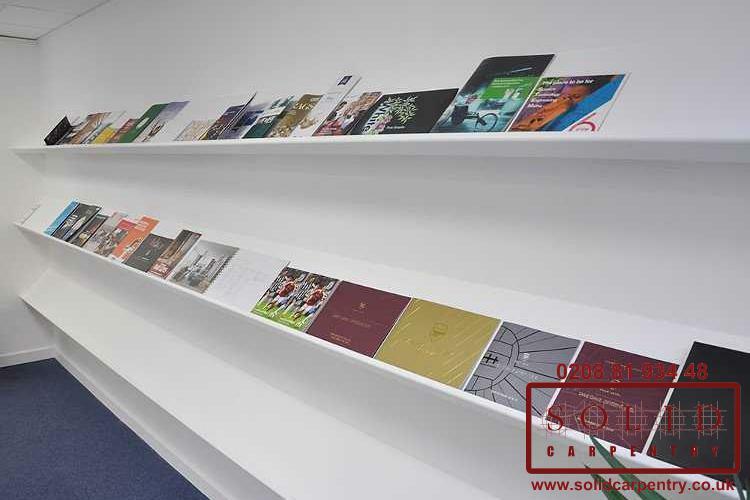 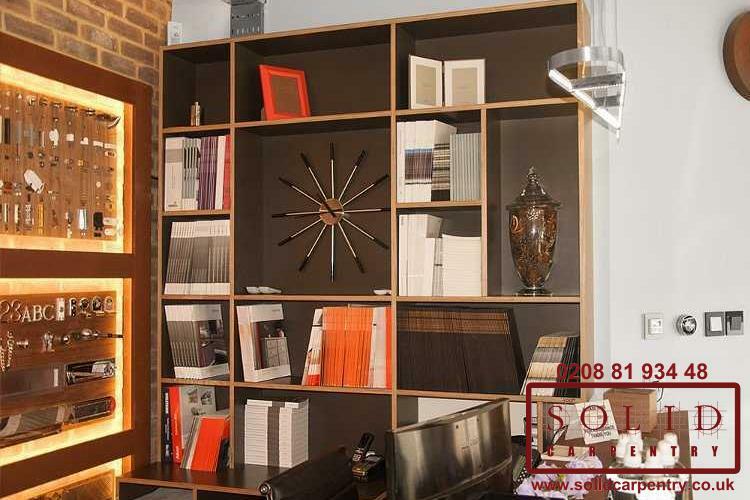 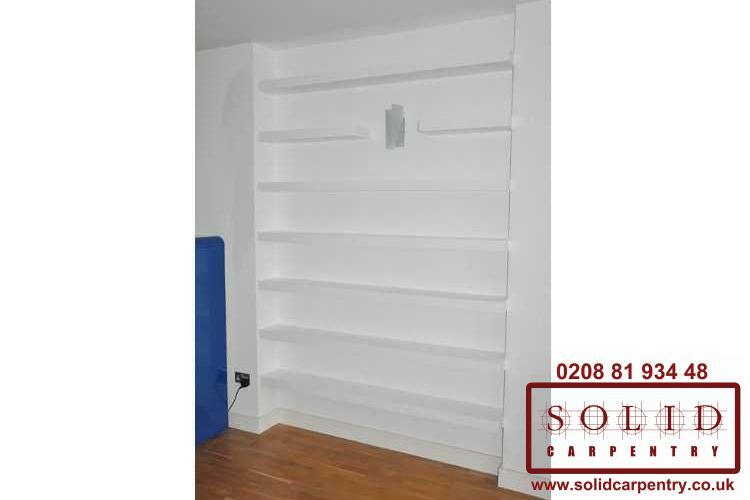 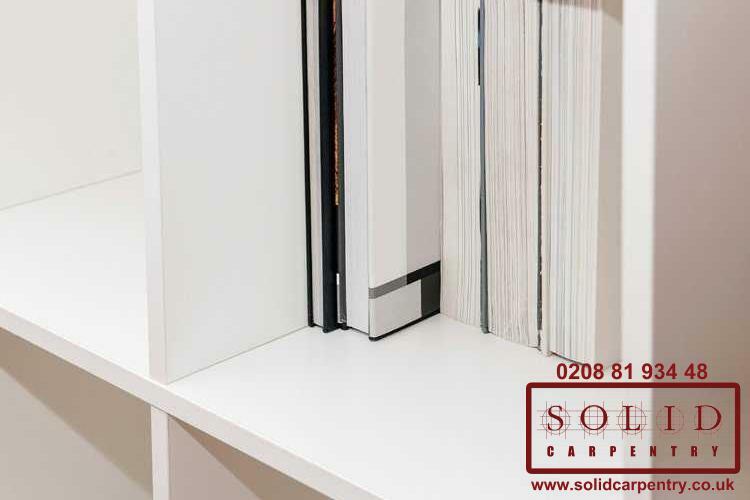 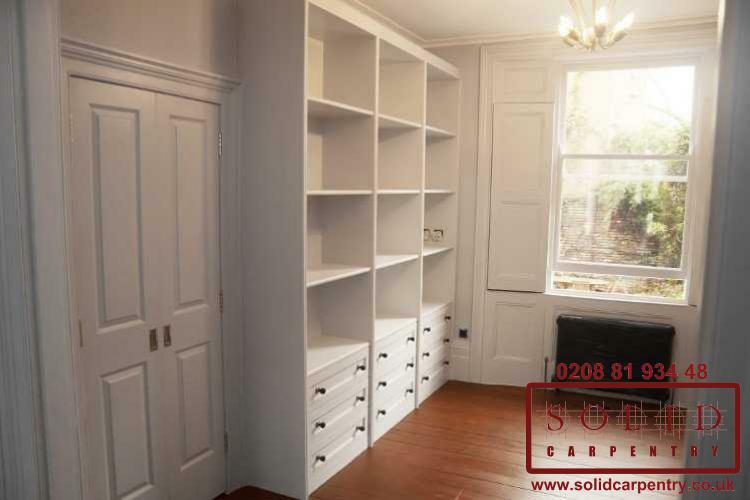 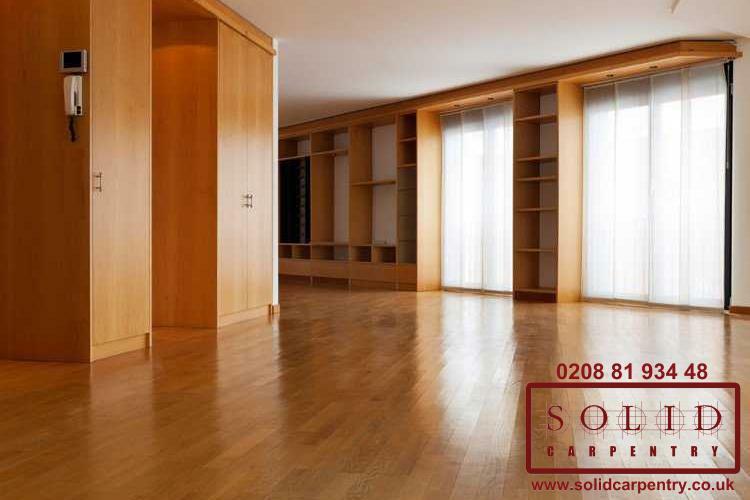 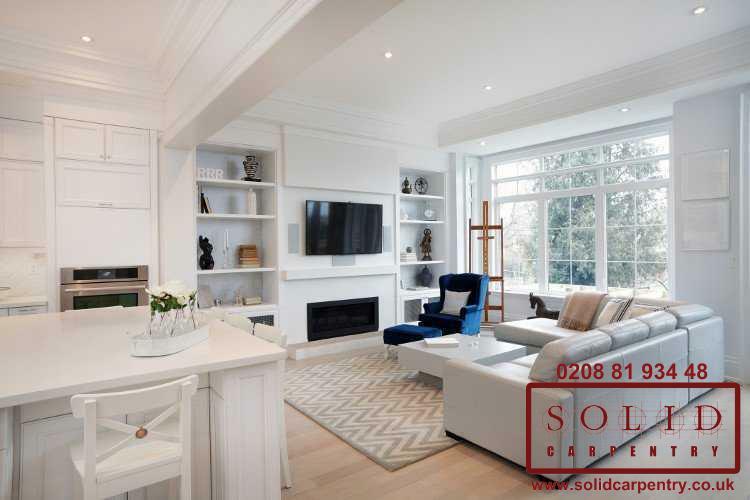 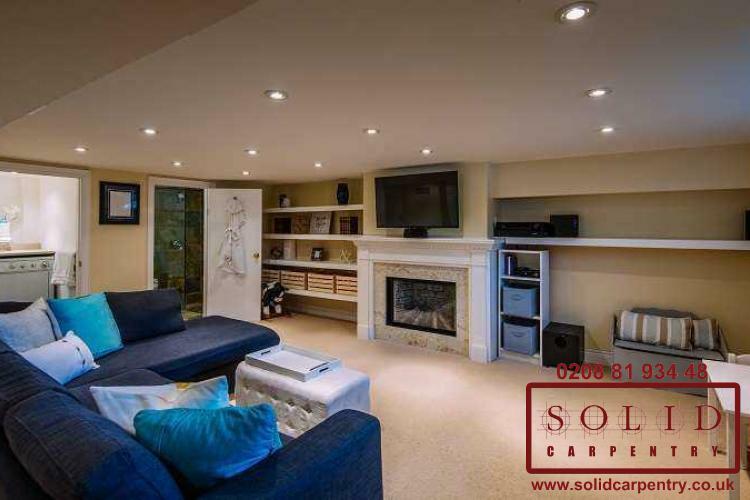 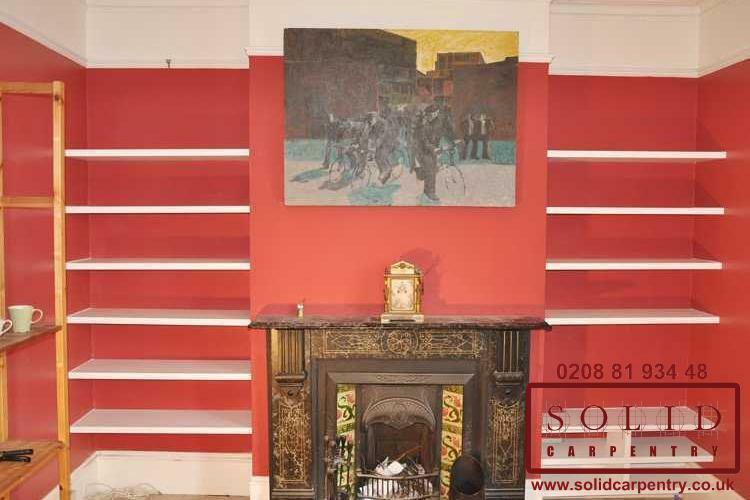 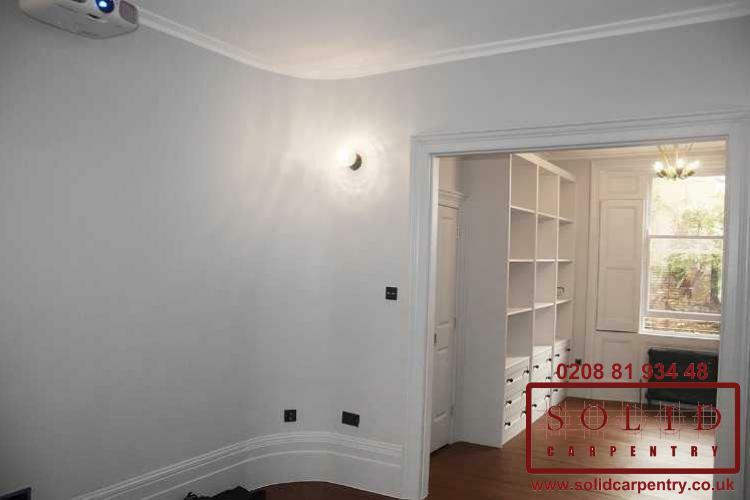 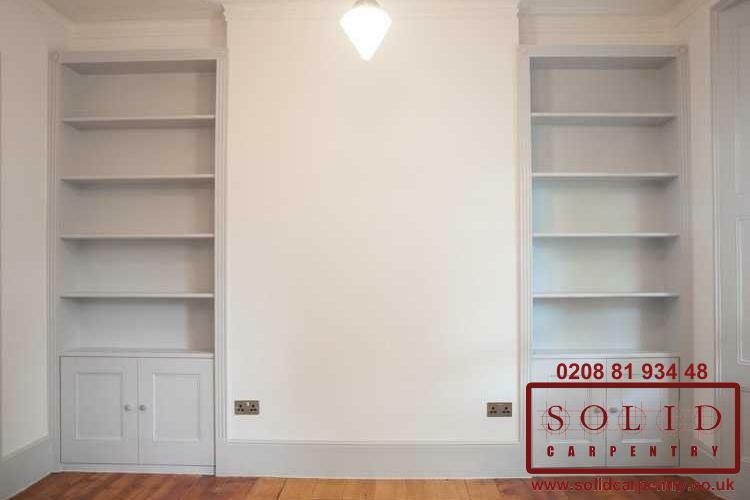 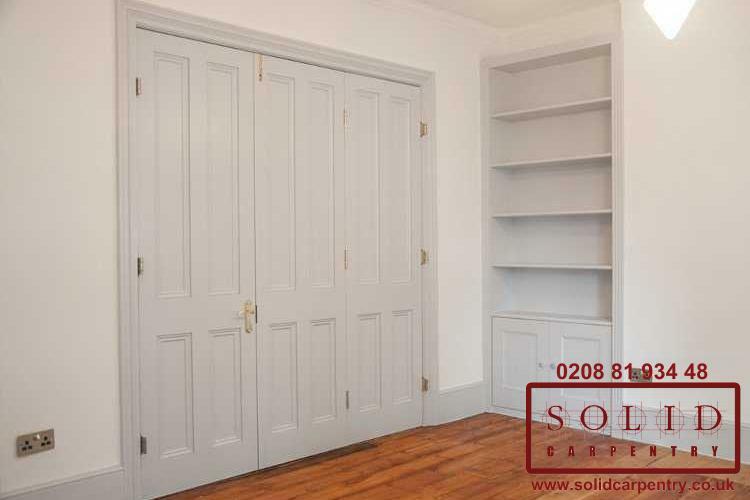 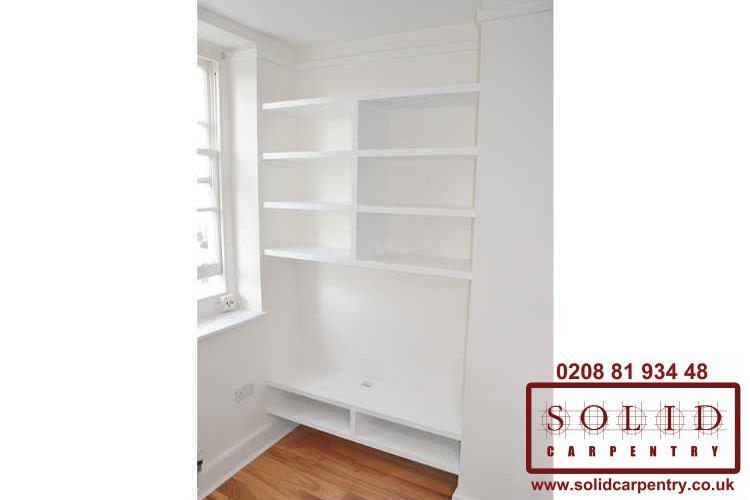 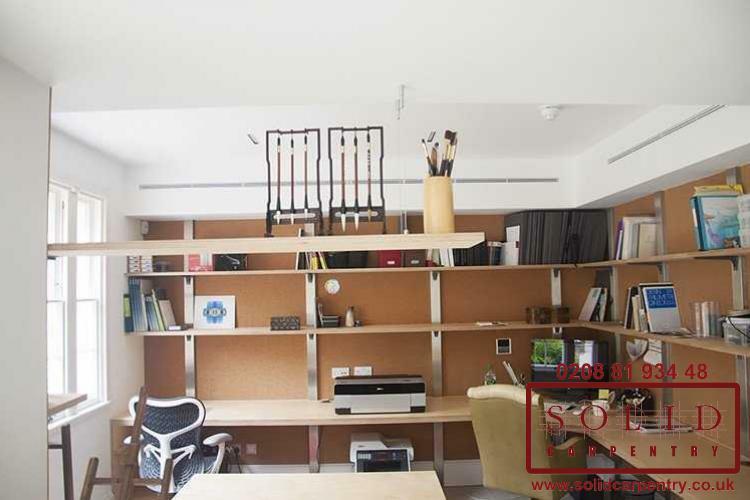 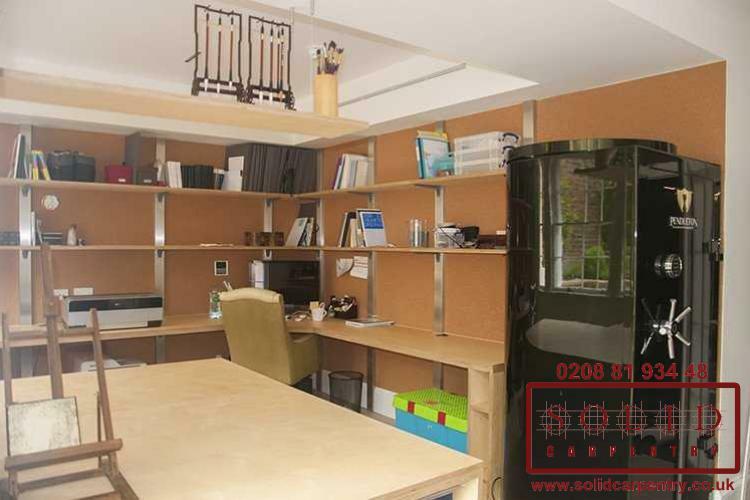 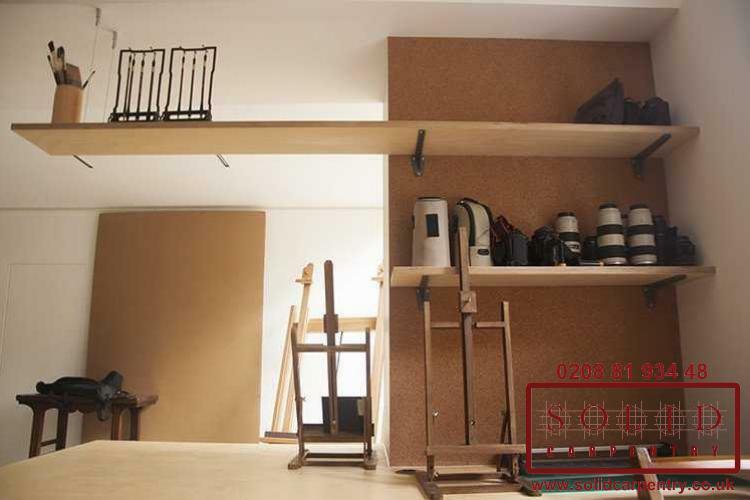 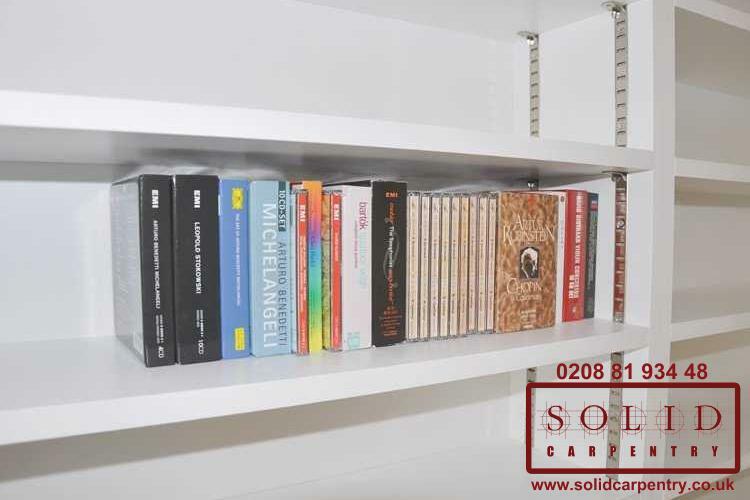 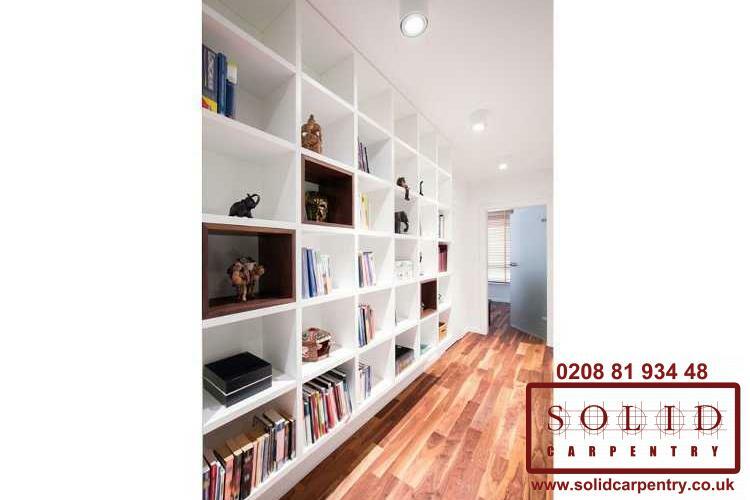 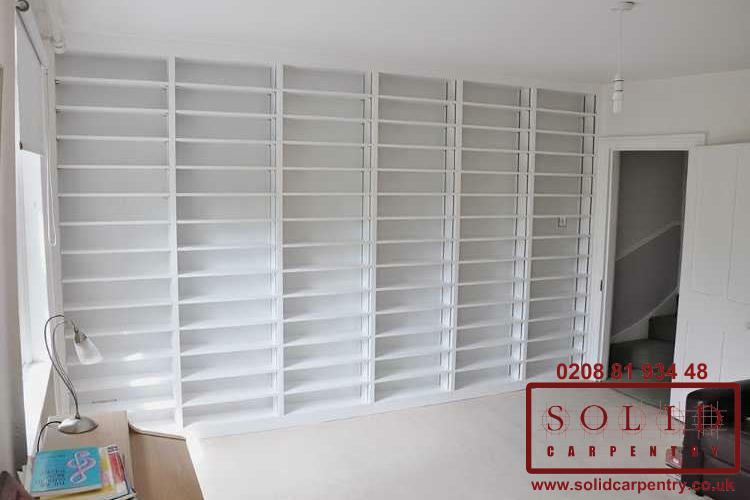 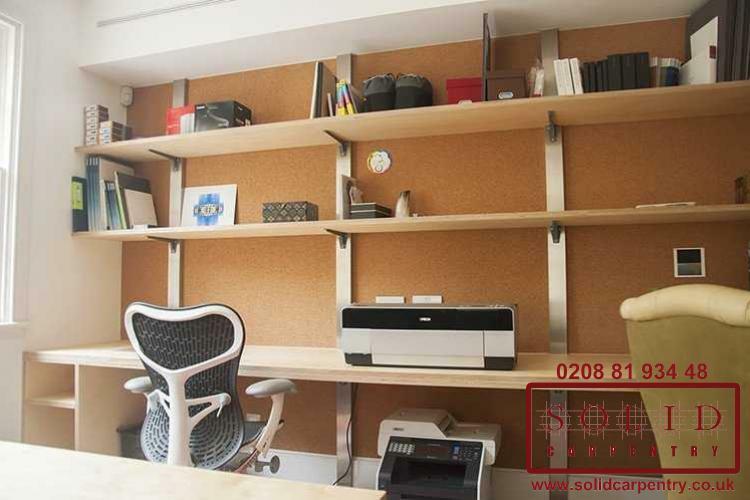 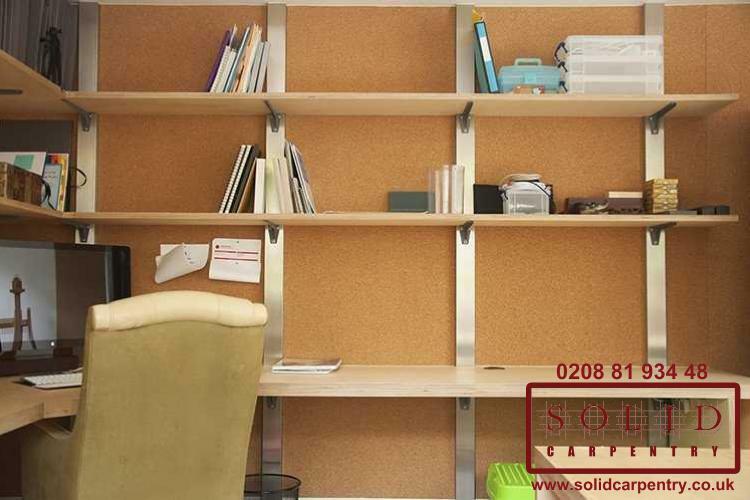 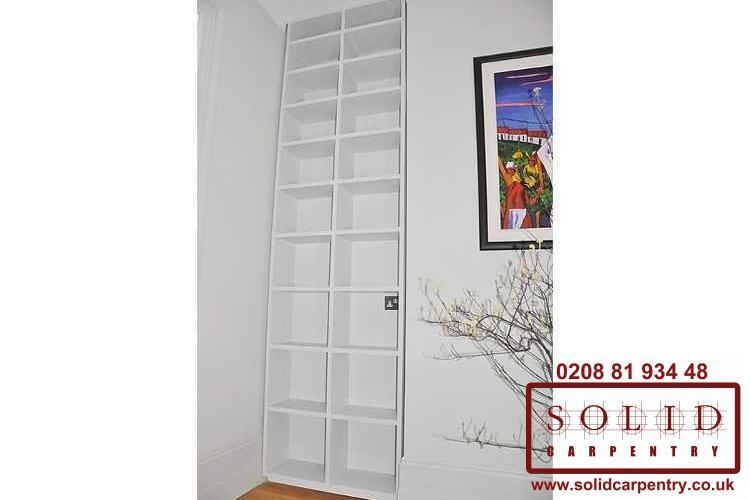 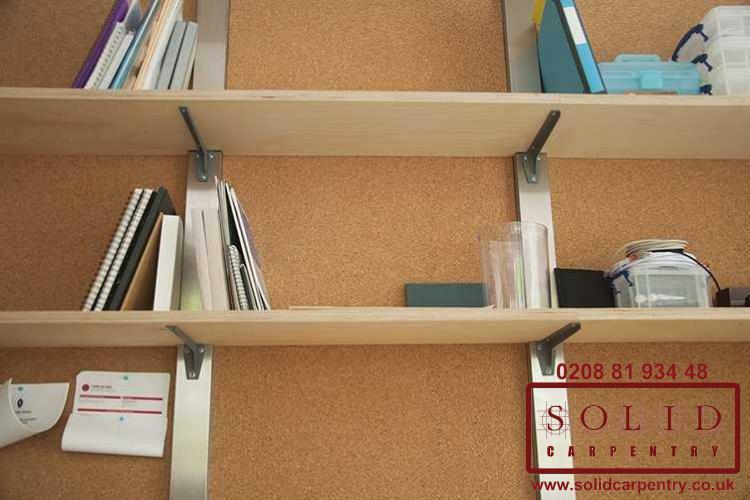 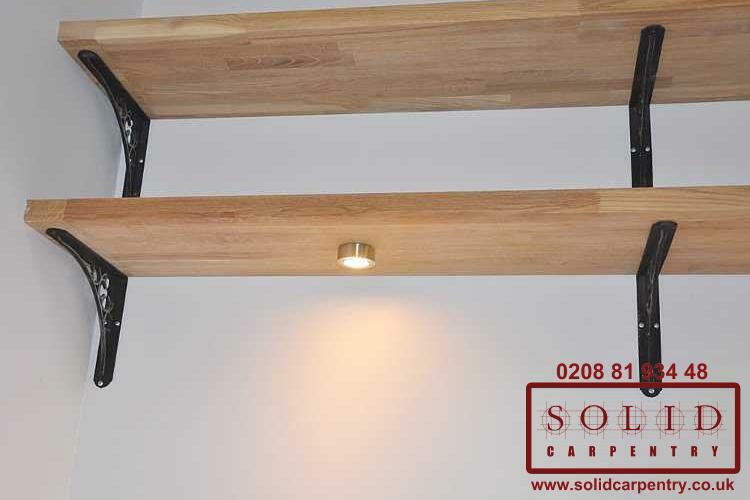 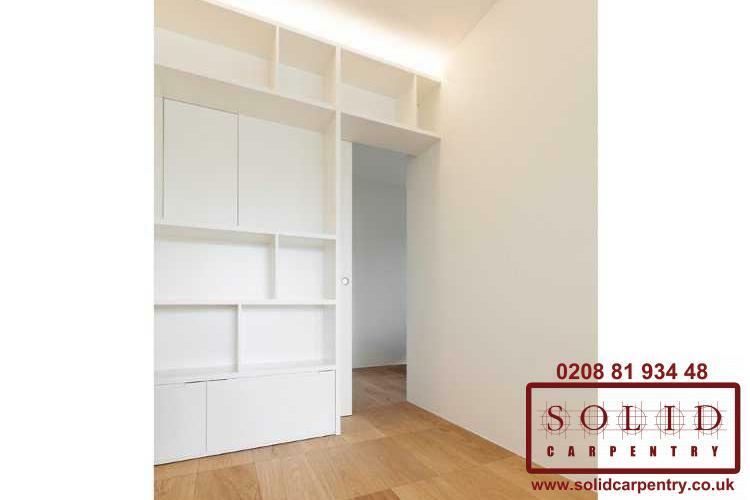 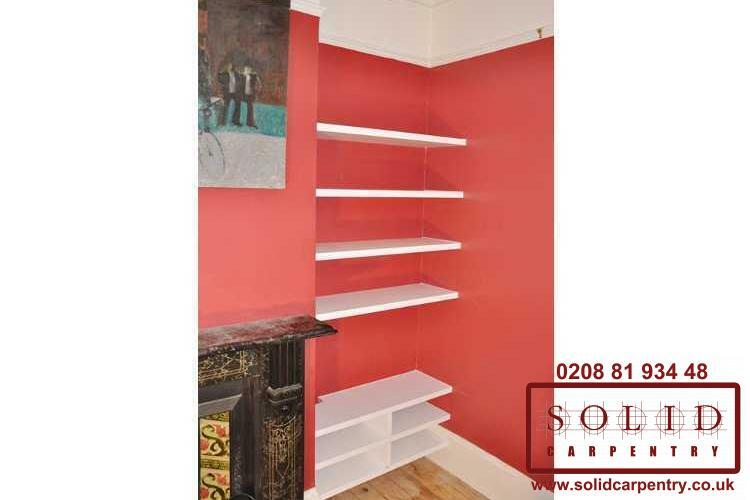 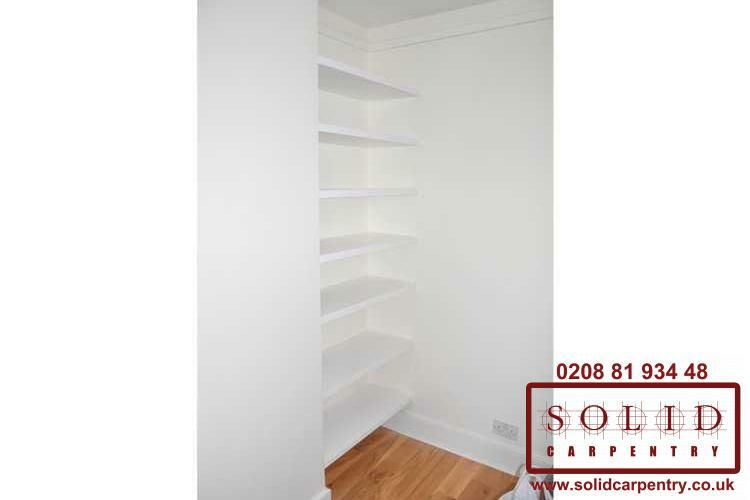 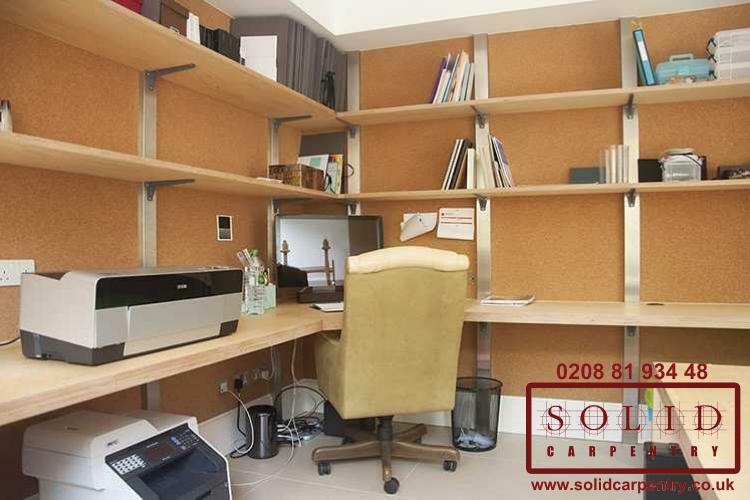 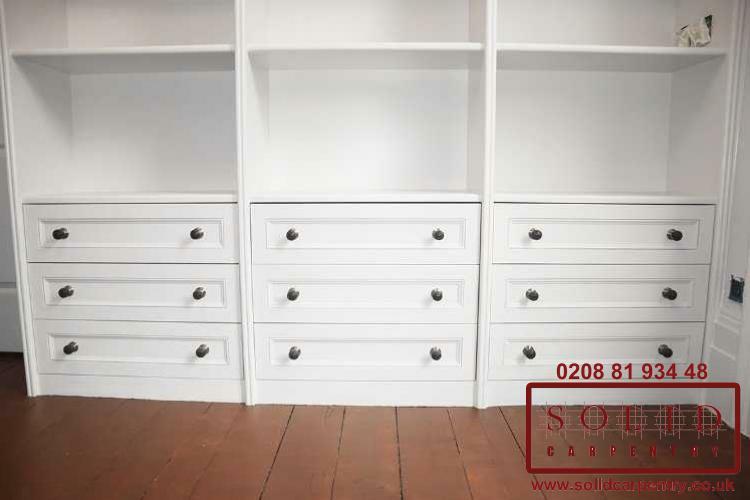 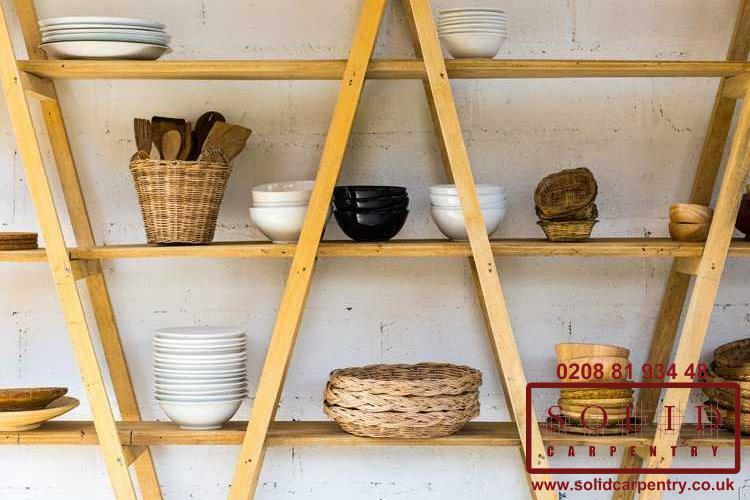 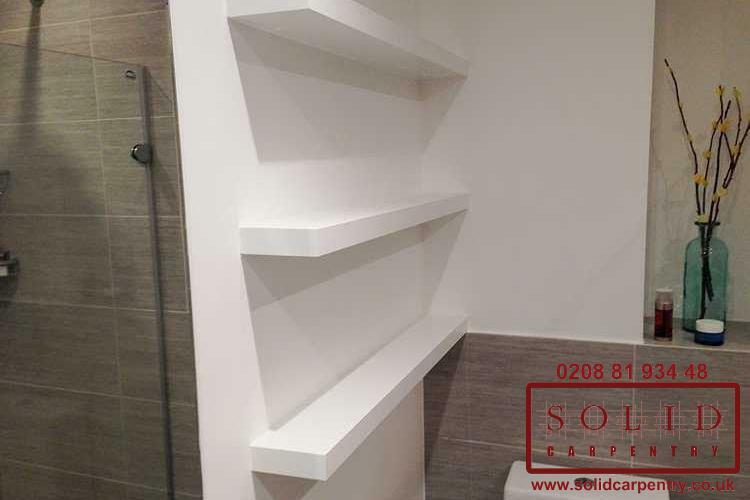 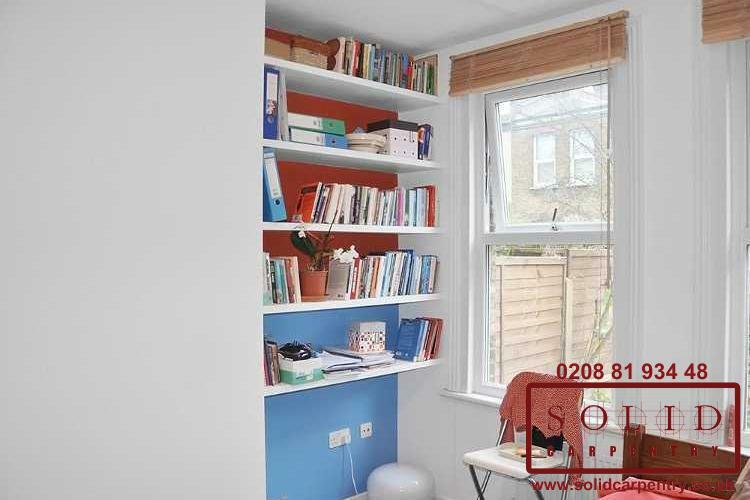 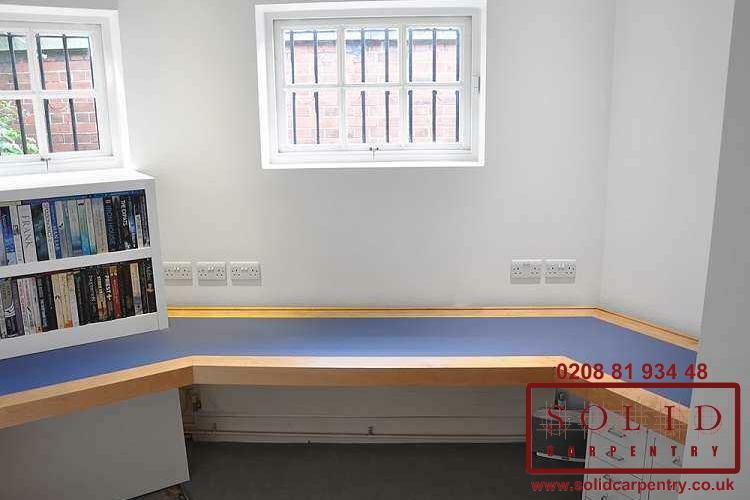 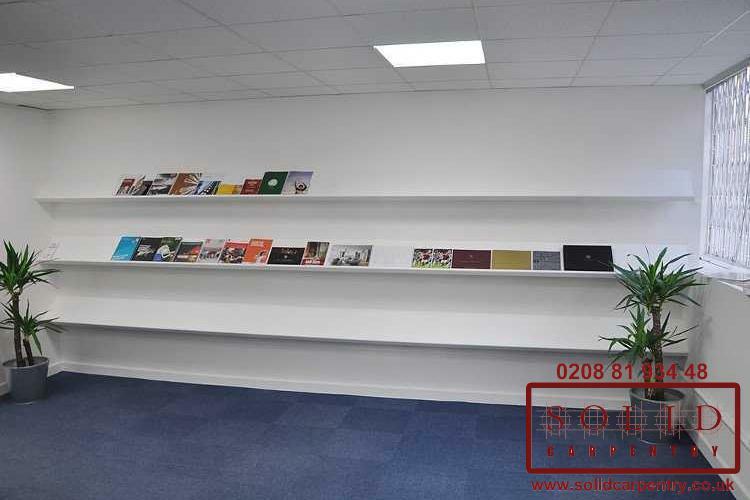 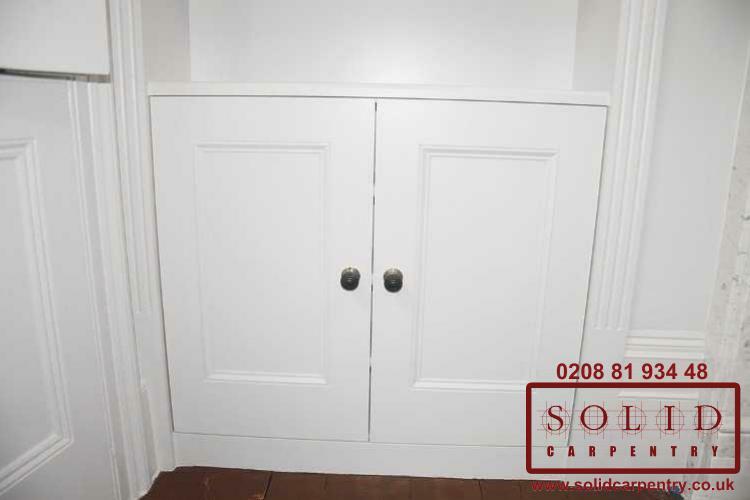 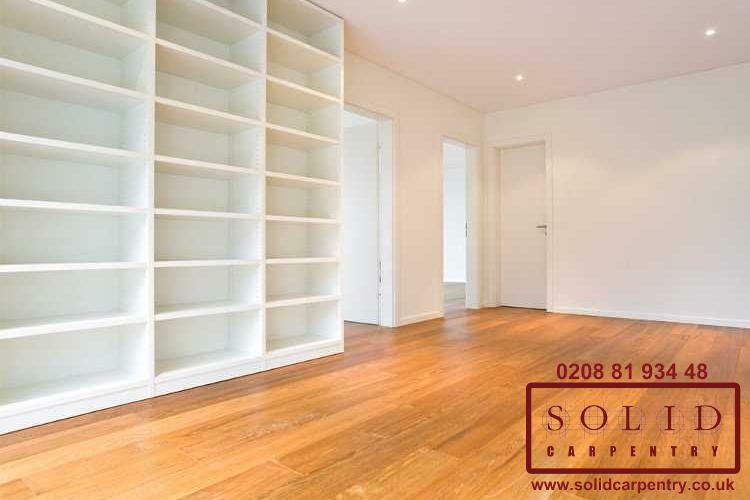 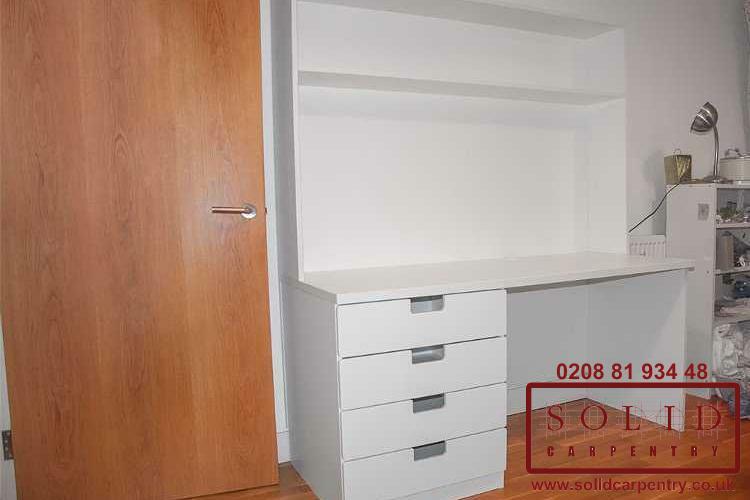 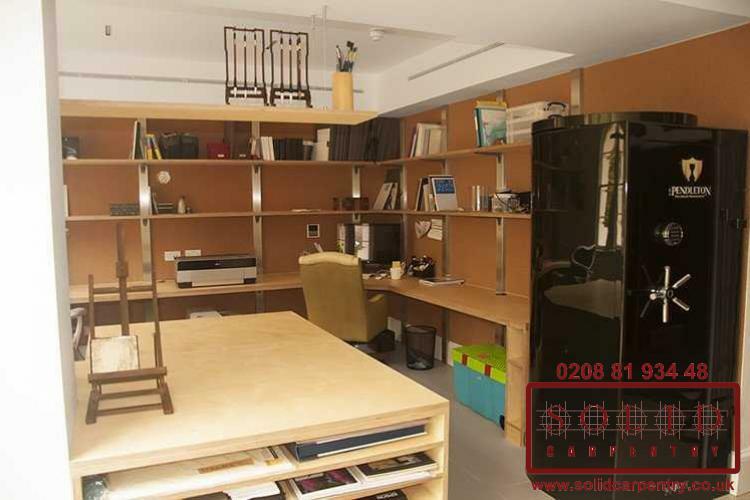 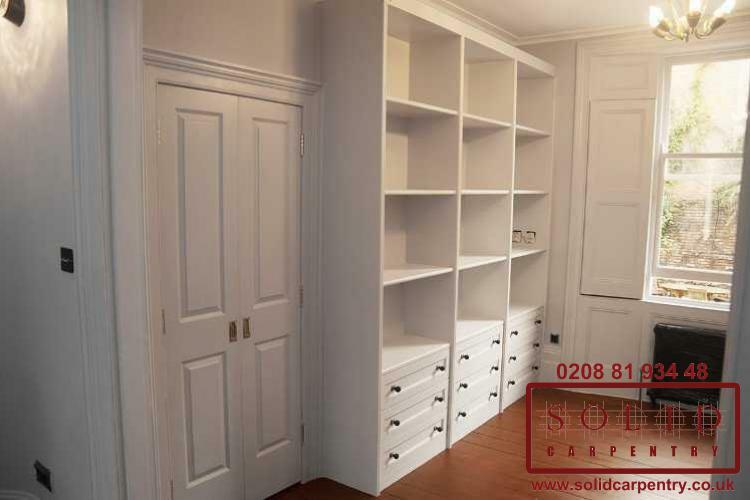 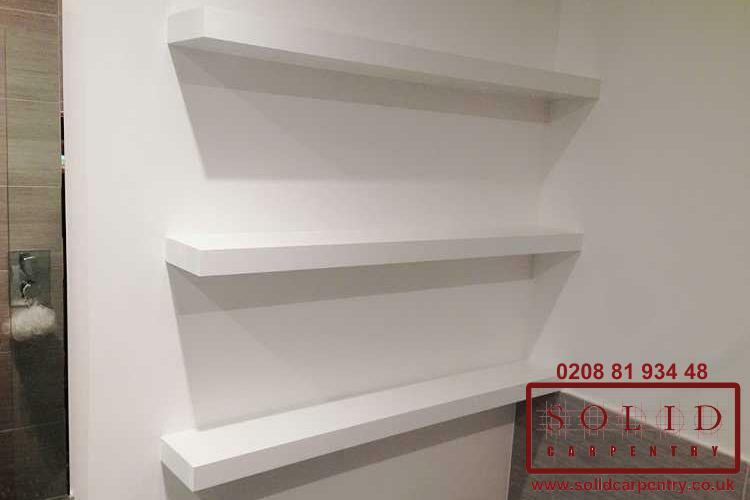 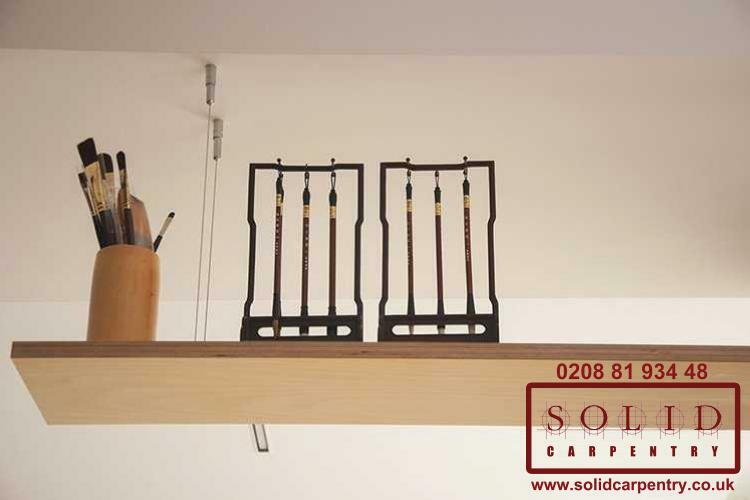 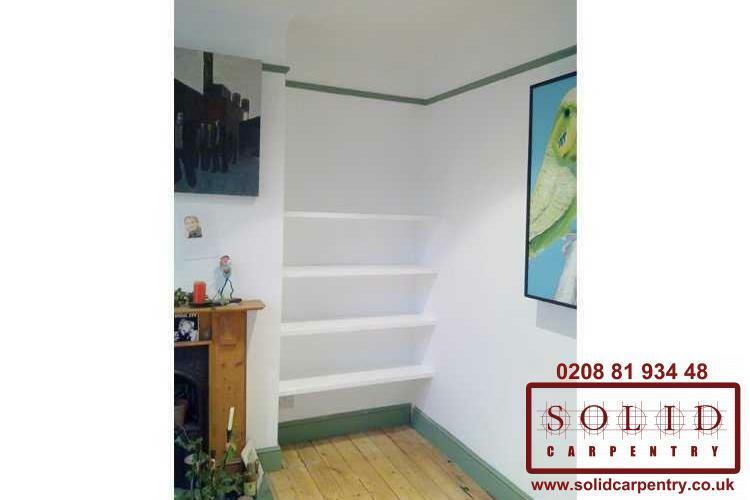 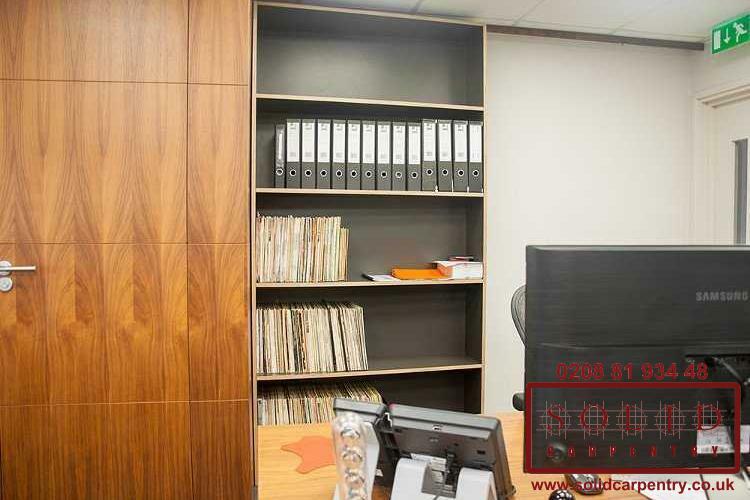 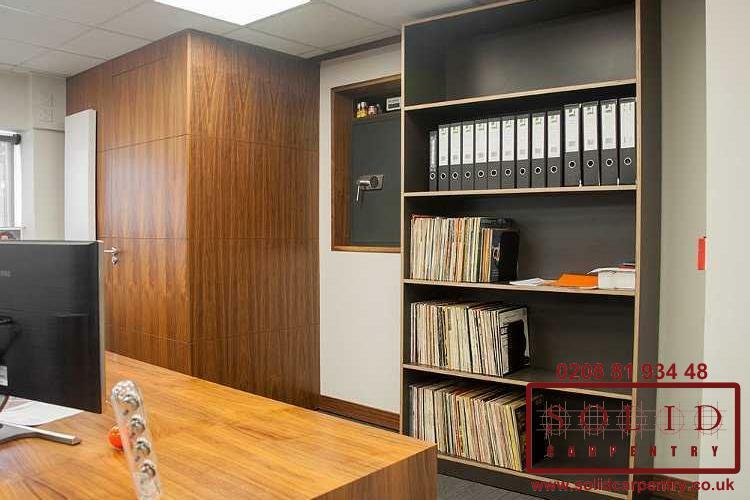 At Solid Carpentry, our team of specialist, multi-skilled carpenters in London can install wooden bookcases and shelving units to any width, depth, height, colour or other requirement. From the moment you contact us, we will respect your ideas and work closely with you to design your ultimate home library. 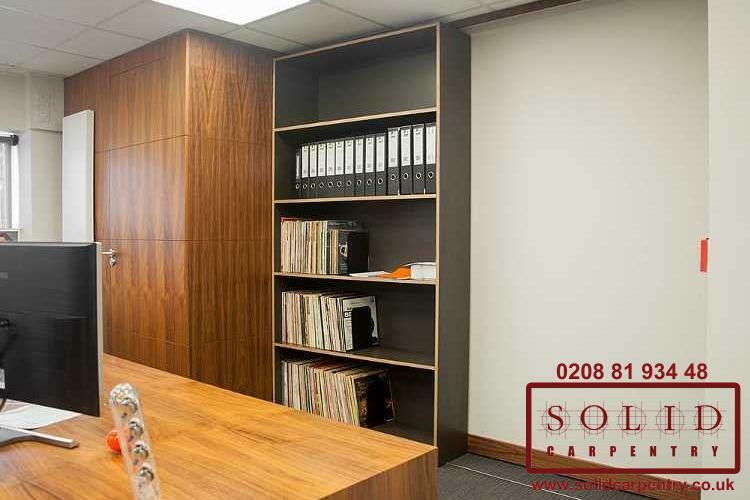 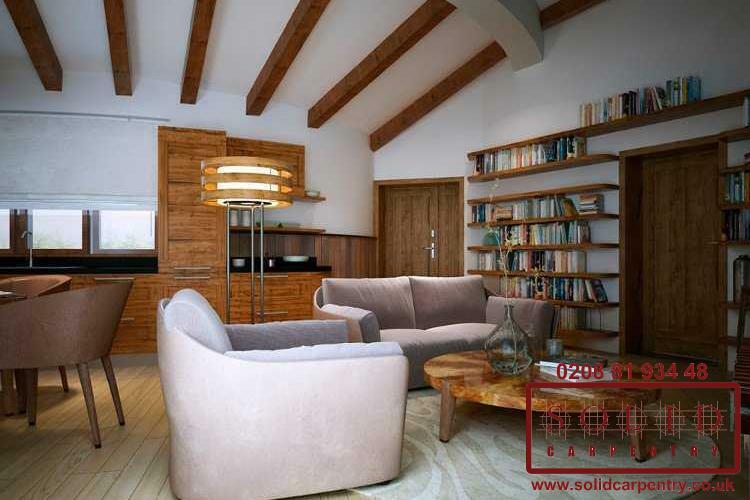 Providing detailed plans and computer generated designs where necessary, you can rest assured that our commitment to providing a professional, personalised approach is guaranteed. 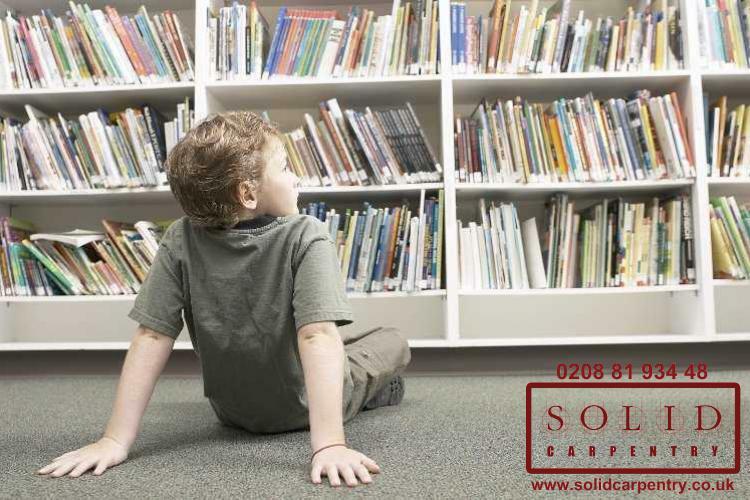 Like you, we love books! 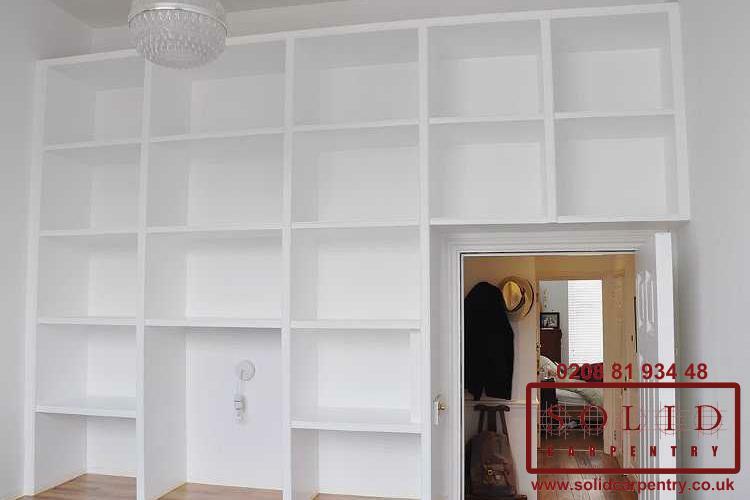 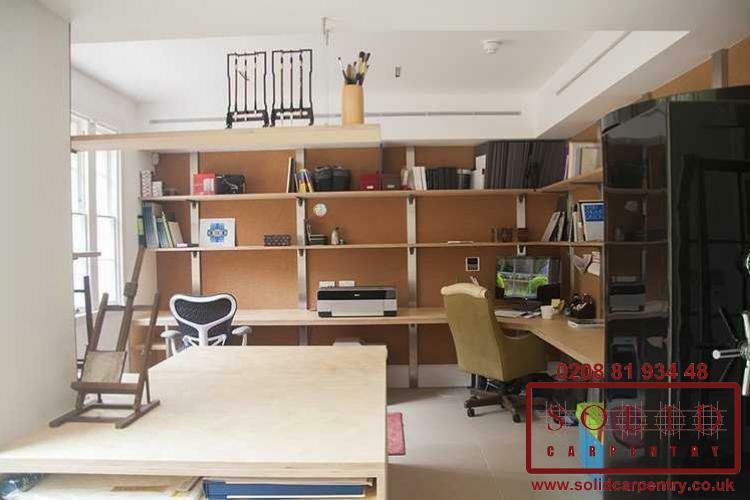 That's why designing and fitting home library shelving is not only an enjoyable task for us, but also a job that we take pride in doing. 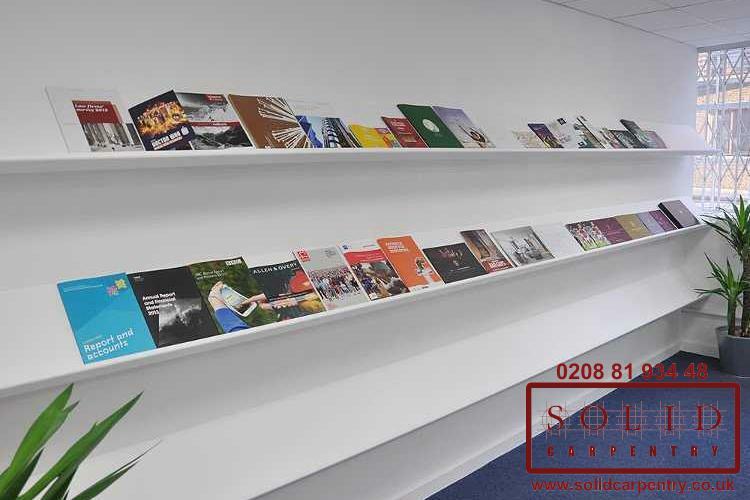 Take a look at our portfolio to see examples of work we have completed for other customers. 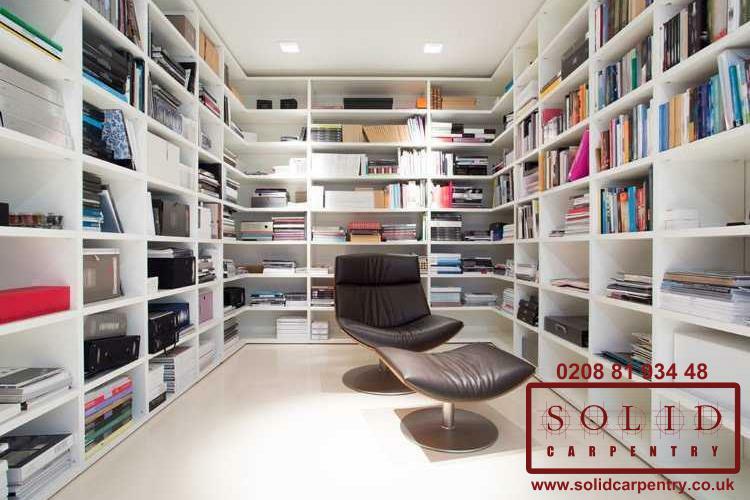 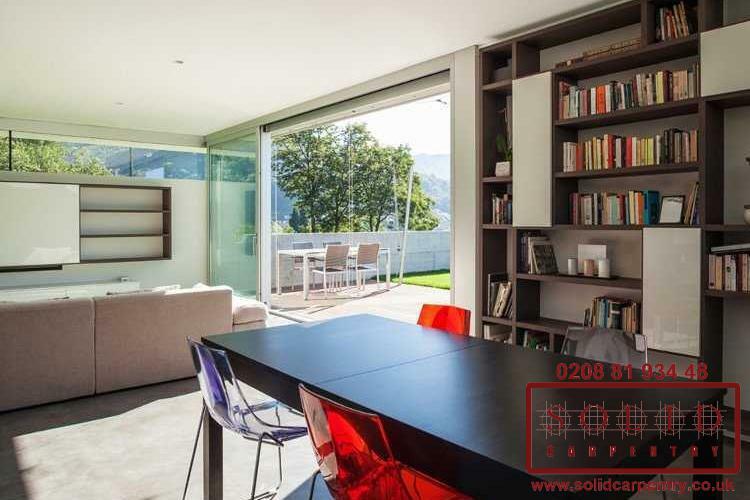 If you are in London or the surrounding areas and want to create an attractive home library, contact us today for a free no-obligation consultation, or give us a call on 020 8819 3448.